In Almighty God’s work of judgment in the last days, He has expressed all the truths of purifying and saving mankind. He has also opened up to mankind all the mysteries of God’s management plan, His will, His arrangements for mankind’s final destination, and so on. This has entirely closed the gap between God and man, allowing mankind to be as if they were face-to-face with God. Such work of Almighty God has truly ended the age of people believing in a vague God, and it has also ended the age of darkness and evil of Satan’s ruling over and corrupting humanity. Almighty God’s work truly is the work of ending an age and beginning a new age. Let’s read a few passages from His words. “It is only today, when I personally come among man and speak My words, that man has a little knowledge of Me, removing the place for ‘Me’ in their thoughts, instead creating a place for the practical God in their consciousness. Man has conceptions and is full of curiosity; who would not want to see God? Who would not wish to encounter God? Yet the only thing that occupies a definite place in man’s heart is the God that man feels is vague and abstract. Who would realize this if I did not tell them plainly? Who would truly believe that I indeed exist? Surely without a hint of doubt? There is a vast difference between the ‘Me’ in man’s heart and the ‘Me’ of reality, and no one is capable of drawing comparisons between them. If I did not become flesh, man would never know Me, and even if he came to know Me, wouldn’t such knowledge still be a conception? … Because man has been tempted and corrupted by Satan, because he has been taken over by the thinking of conceptions, I have become flesh in order to personally conquer all of mankind, to expose all the conceptions of man, and to tear apart the thinking of man. As a result, man no longer parades about in front of Me, and no longer serves Me using his own conceptions, and thus the ‘Me’ in man’s conceptions is completely dispelled” (“The Eleventh Utterance” of God’s Utterances to the Entire Universe in The Word Appears in the Flesh). “In the building of the kingdom I act directly in My divinity, and allow all people to know what I have and am based on the knowledge of My words, ultimately allowing them to achieve the knowledge of Me who is in the flesh. Thus it brings to an end all mankind’s pursuit of the vague God, and puts an end to the place of the God in heaven in man’s heart, which is to say, it allows man to know My deeds in My flesh, and so concludes My time on earth” (“The Eighth Utterance” of God’s Utterances to the Entire Universe in The Word Appears in the Flesh). “For all of those who live in the flesh, changing their disposition requires goals to pursue, and knowing God requires witnessing the real deeds and the real face of God. Both can only be achieved by God’s incarnate flesh, and both can only be accomplished by the normal and real flesh. This is why the incarnation is necessary, and why it is needed by all corrupt mankind. Since people are required to know God, the images of the vague and supernatural Gods must be dispelled from their hearts, and since they are required to cast off their corrupt disposition, they must first know their corrupt disposition. If only man does the work so as to dispel the images of the vague Gods from people’s hearts, then he will fail to achieve the proper effect. The images of the vague Gods in people’s hearts cannot be exposed, cast off, or completely expelled by words alone. In doing so, ultimately it would still not be possible to dispel these deep-rooted things from people. Only the practical God and the true image of God can replace these vague and supernatural things to allow people to gradually know them, and only in this way can the due effect be achieved. Man recognizes that the God whom he sought in times past is vague and supernatural. That which can achieve this effect is not the direct leadership of the Spirit, much less the teachings of a certain individual, but the incarnate God. The conceptions of man are laid bare when the incarnate God officially does His work, because the normality and reality of the incarnate God is the antithesis of the vague and supernatural God in man’s imagination. The original conceptions of man can only be revealed through their contrast to the incarnate God. Without the comparison to the incarnate God, the conceptions of man could not be revealed; in other words, without the contrast of reality the vague things could not be revealed. No one is capable of using words to do this work, and no one is capable of articulating this work using words. Only God Himself can do His own work, and no one else can do this work on His behalf. No matter how rich the language of man is, he is incapable of articulating the reality and normality of God. Man can only know God more practically, and can only see Him more clearly, if God personally works among man and completely shows forth His image and His being. This effect cannot be achieved by any fleshly man. Of course, God’s Spirit is also incapable of achieving this effect” (“Corrupt Mankind Is More in Need of the Salvation of God Become Flesh” in The Word Appears in the Flesh). “When all people have a greater knowledge of Me after accepting My utterances is the time when My people live Me out, it is the time when My work in the flesh is completed, and the time when My divinity is entirely lived out in the flesh. At this moment, all people will try to know Me in the flesh, and will truly be able to say that God appears in the flesh, and this will be the fruit. … Ultimately, the people of God shall be able to give God praise that is true, not forced, and which comes from their hearts. This is what’s at the heart of God’s 6,000-year management plan. That is, it is the crystallization of this 6,000-year management plan: letting all people know the significance of God’s incarnation—letting them practically know God become flesh, which is to say, the deeds of God in the flesh—so that they deny the vague God, and know the God who is of today and also yesterday, and, more than that, of tomorrow, who has really and actually existed from everlasting to everlasting. Only then shall God enter rest!” (“Interpretation of the Third Utterance” in The Word Appears in the Flesh). Before God had become flesh—that is, two thousand years ago—all of humanity (with the exception of the Israelites) was completely in the dark regarding God’s existence, and that He created and rules over all things. There were many people who believed that it was nature that created human beings. The majority of people worshiped various evil spirits and idols, they burned incense and kowtowed, and there were temples honoring false gods everywhere. People took all sorts of evil spirits and Satan as the true God, to the point that all of humanity worshiped and served Satan. Mankind was entirely under the control of Satan and they lived entirely under its domain. They fell into darkness and sin—this is a widely recognized fact. After God completed His work of the Age of Law in Israel, the Israelites began to worship and serve the true God. But God only worked through humans, and He was not incarnated to do the work. So, the outcomes of God’s work in the Age of Law were only achieved among the Israelites, but the entire Gentile world was still worshiping and serving Satan and continuing to live in darkness and sin—they could not extricate themselves. It was under this background that God was incarnated into the world as the Lord Jesus for the first time to do the work of redeeming mankind. He preached the way of repentance, “Repent: for the kingdom of heaven is at hand.” He expressed some truths so that mankind could see the appearance of the Savior, and only then did mankind start to acknowledge that it was God who created the heavens and the earth, and all things, and that He is their Ruler. It was only then that many people began to believe in and worship God, but there were still so many people among corrupt humanity who denied God, believed in evil spirits, and followed Satan. Satan was still continuing to deceive and corrupt mankind. Moreover, most religious people believed in God but did not truly know Him, and they were very far from genuine obedience and worship of God. Nevertheless, the appearance and work of the Lord Jesus allowed people to see the appearance of the Savior for the first time, just like seeing the appearance of God. This is a fact that no one can deny. In the last days, God became flesh again—He is Almighty God—and did the judgment work of the last days, and in doing so did God finally gain a group of people among mankind who are of one heart and mind with Him. This group of people has gained a genuine understanding of God’s righteous disposition because of His judgment and chastisement that they have undergone, and they have developed a heart of reverence for Him, becoming the people who are absolutely obedient to God and have been gained by Him. This is the first group of people that God has gained among corrupt humanity, and they are the first overcomers made by God’s judgment work of the last days. As the expression of Almighty God—The Word Appears in the Flesh—has been spread and disseminated throughout the world, humanity has begun to awaken, and they have developed an interest in the words of God. There are many people who are looking into the true way and seeking the truth, and all of corrupt humanity is just barely starting to gradually, officially return to be in front of God’s throne. These are all the results achieved by God becoming flesh and uttering words among mankind. God’s words will make all things happen, which is why He said: “As My words are consummated, the kingdom is gradually formed on earth and man is gradually returned to normality, and thus there is established on earth the kingdom in My heart. In the kingdom, all the people of God recover the life of normal man. Gone is the frosty winter, replaced by a world of cities of spring, where it is spring all year round. No longer are people faced with the gloomy, miserable world of man, no longer do they endure the cold chill of the world of man. People do not fight with each other, countries do not go to war against each other, no longer is there carnage and the blood that flows from carnage; all lands are filled with happiness, and everywhere teems with warmth between men” (“The Twentieth Utterance” of God’s Utterances to the Entire Universe in The Word Appears in the Flesh). “When I formally take My power and reign as King in the kingdom, all My people shall over time be made complete by Me. When all the nations of the world are disrupted, that is precisely when My kingdom will be established and shaped and also when I will be transfigured and turn to the entire universe. At that time, all people shall see My glorious face, see My true countenance” (“The Fourteenth Utterance” of God’s Utterances to the Entire Universe in The Word Appears in the Flesh). “In the end, He will burn away all that is unclean and unrighteous within men throughout the universe, to show them that He is not only a merciful and loving God, not only a God of wisdom and wonders, not only a holy God, but, even more, a God who judges man. To the evil ones among mankind, He is burning, judgment, and punishment; to those who are to be perfected, He is tribulation, refinement, and trial, as well as comfort, sustenance, provision of words, dealing, and pruning. And to those who are eliminated, He is punishment and also retribution” (“The Two Incarnations Complete the Significance of the Incarnation” in The Word Appears in the Flesh). Now, we can all see that the appearance and the work of God have indeed concluded the age of mankind’s belief in a vague God, as well as the age of darkness and evil of Satan ruling over and corrupting mankind. It has opened up the Age of Kingdom of God’s personal appearance and work and God’s word’s reign. Why has the religious world also been exposed and eliminated by God’s work in the last days, and even been subjected to His curse? It is because most of the people within the religious world still believe in a vague God, the God of their notions, but in their hearts God’s true image and His true disposition do not exist. So, they are able to resist and condemn God in the flesh, and to nail Him to the cross once again, which is why God has cursed them, saying: “Woe to those who crucify God” (“The Wicked Must Be Punished” in The Word Appears in the Flesh). Almighty God’s appearance and work in the last days have accomplished the fact of the Word appearing in the flesh. God’s disposition has been openly shown to all of mankind, allowing all of mankind to see and hear God’s words, and to live within the purification of His judgment and His chastisement. Among mankind, whether someone believes or does not believe in God, and whether they belong to God or Satan, all people are classified according to their kind through the exposure of God’s words. All those who belong to God have begun to awaken by His words and gradually understand Him from the sustenance of His words, come face-to-face with Him, see that God rules everything, and that He rules people’s fates. They have also all seen God’s righteousness and holiness that do not tolerate people’s offenses. All peoples will return to God, and His words will accomplish all things. That which is God’s will return to God, and that which is Satan’s will return to Satan. Soon after that, God will reward good and punish evil, and He will use the disaster to wipe out all of those who belong to Satan. All of the forces of evil will inevitably be overturned by His chastisement, and God will bring all those who are able to obey His work and truly turn toward Him into His kingdom. This is a fact of what God will complete soon. The Age of Kingdom is the age of God’s disposition being openly revealed to mankind, and it is also the age of mankind beginning to know God. In addition, the Age of Kingdom is the age of God uttering words and openly appearing to people. No force is capable of blocking the implementation of God’s will on earth. The kingdom of Christ has already appeared on earth, and the prophecy from the Book of Revelation has been completely fulfilled: “Behold, the tabernacle of God is with men, and he will dwell with them, and they shall be his people, and God himself shall be with them, and be their God. And God shall wipe away all tears from their eyes; and there shall be no more death, neither sorrow, nor crying, neither shall there be any more pain: for the former things are passed away” (Rev 21:3-4). Almighty God says, “In the kingdom, the life of God’s people with God is incomparably happy. The waters dance for people’s blessed lives, the mountains enjoy with people My abundance. All men are striving, working hard, showing their loyalty in My kingdom. In the kingdom, there is no more rebellion, no more resistance; the heavens and the earth depend on each other, man and I are close and feel deeply, through life’s felicities, leaning together …” (“People! Rejoice!” of God’s Utterances to the Entire Universe in The Word Appears in the Flesh). In the kingdom, God will show Himself to His people, and He will guide the survivors of humanity in their lives on earth. He will live alongside them, dwell with them, and rejoice with them. People will also enjoy a happy and beautiful life of being with God. 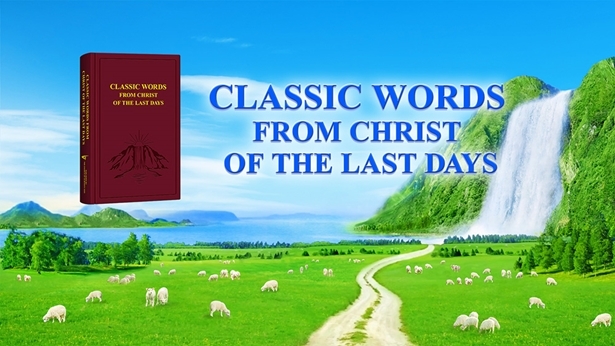 This is what God incarnate will achieve in the last days, and it is the greatest promise and blessing that God gives to man. Previous：Question 7: God’s two incarnate fleshes bore witness that Christ is the truth, the way, and the life. How should we understand Christ being the truth, the way, and the life? Next：Why Does God Do the Work of Saving Mankind?